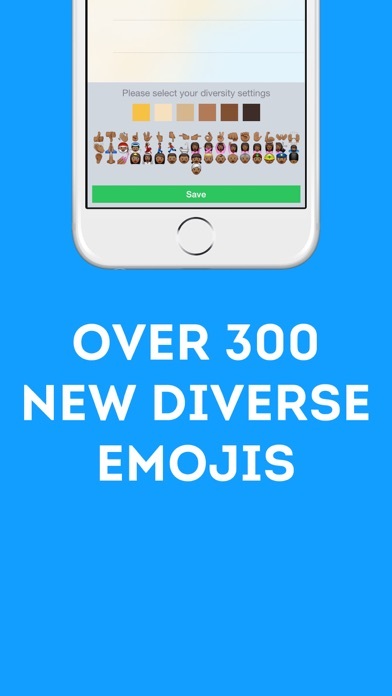 **** NOW INCLUDES 300 iOS 8.3 DIVERSE EMOJIS. PICK BETWEEN 6 SKIN TONES **** We have finally done it! Millions of people know and love the Emoji icons but yet there are some obvious icons that are missing from the keyboard. 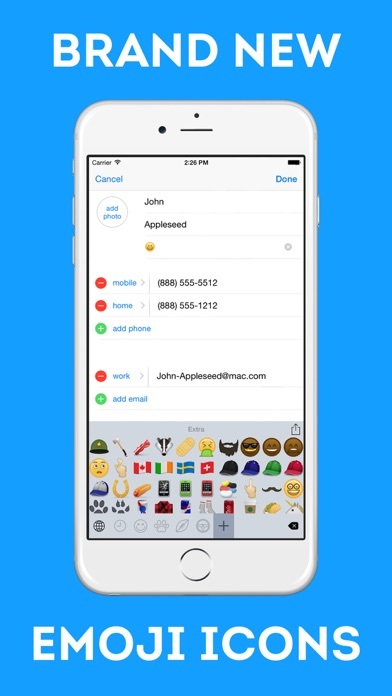 We have researched which icons are the most requested and implemented them into our custom Emoji keyboard. 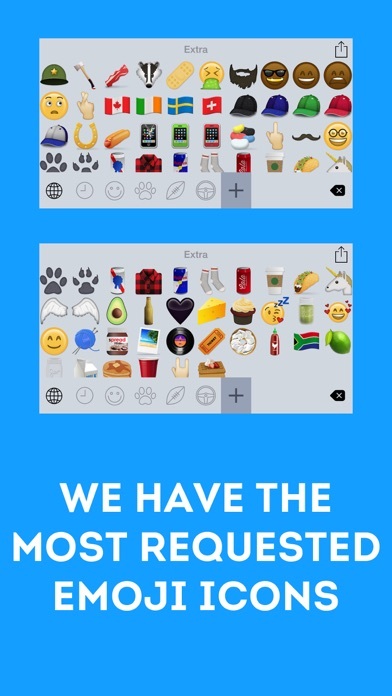 The top 5 requested Emoji icons include: 1) Black people 2) Taco's 3) Swearing finger 4) Unicorns 5) Sick face We have included all of these new icons on our custom Emoji keyboard plus over 100 more. 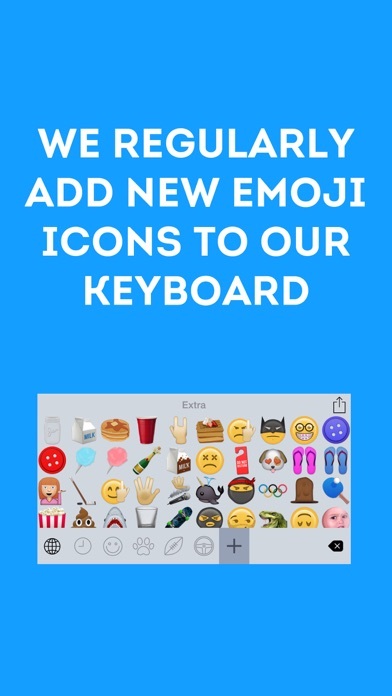 Along with the traditional Emoji icons and our uniquely designed keyboard layout to maximise typing speed, Emoji Free is the best keyboard on the App Store. To enable the keyboard, open up Settings > General > Keyboard > Keyboards > Add New Keyboard... > Emoji Free. To complete the installation and ensure the new icons work, you must then press Emoji Free - Emoji Free and enable Full Access. You will then be able to access the new Emoji keyboard in any app by pressing the globe icon on the keyboard. What more would you want out of an Emoji app? 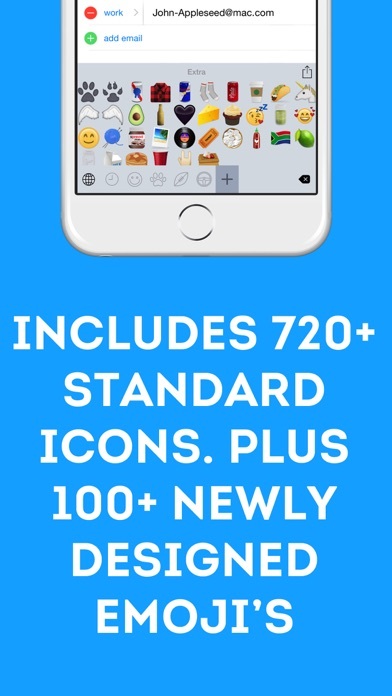 Get your hands on all these great new icons today by downloading our app now! Facebook: http://www.facebook.com/emojiapp Twitter: @jgapplications Instagram: @iosemoji Note: iOS 8.2 is recommended when using this app. If you are not using iOS 8.2 we advise users to upgrade their software through the Settings app.